Andrew’s out of town for a few days, so my youngest daughter and I have been on our own. With just the two of us, our meals have been a little more relaxed than usual. Should I have been more specific? It doesn’t make up for missing a wedding, but it’s a start. Combine the cider vinegar and chicken broth in a small bowl and set aside. Add the remaining 1 Tbsp olive oil and the apple. Turn the heat down just a tiny bit more and continue to cook, stirring frequently, until the sweet potatoes are tender (test with a paring knife) and the apple and onion are browned, 8 to 12 minutes. Add the ginger and stir to incorporate. Remove the pan from the heat, clear a small spot in the pan, and add the vinegar-broth mixture (it will sizzle) and the remaining 1/2 Tbsp butter. Stir well immediately to incorporate the butter and any browned bits loosened from the bottom of the pan (most will remain). Add the parsley and almonds, stir, and transfer to a serving dish. 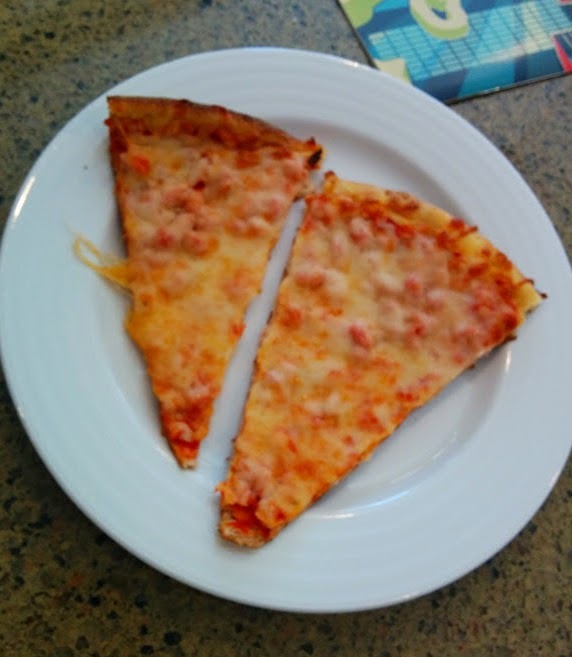 Funny, the pizza picture! I love sweet potatoes, so it would have been lunch for me as well. Have a great week! Kids – the things they prefer to eat! Love sweet potatoes and have been know to eat them for many a good quick lunch. 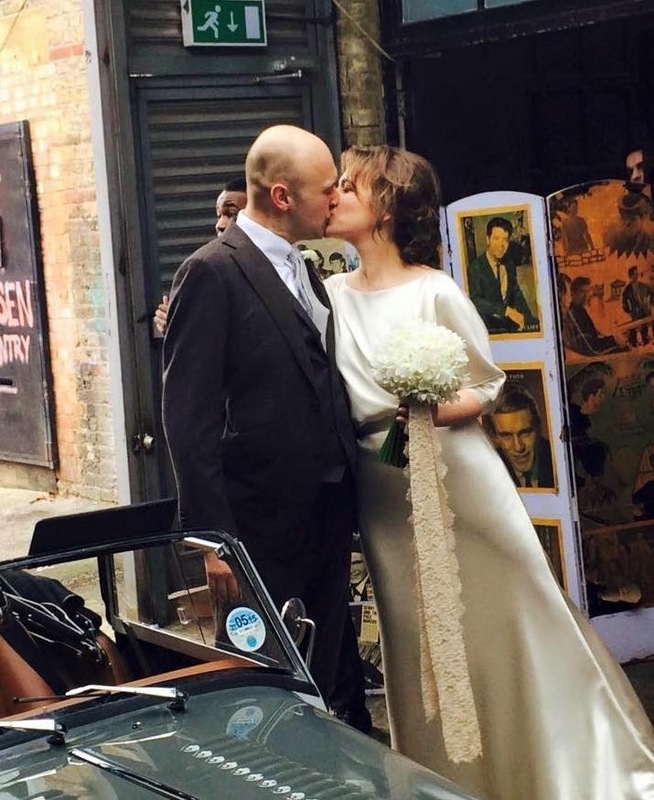 Great photos – cool wedding shot too. My youngest son would have done the same. 🙂 I love this sweet potato dish, and will most probably try it tomorrow. I have a plethora of sweet potatoes of several different varieties and want to use them up! My daughter doesn't love sweet potatoes either. But I do. I might have to try this. Well, you can share your leftover sweet potatoes with me. These sound GREAT! Well you can share your leftover sweet potatoes with me – these sound GREAT! If that's a picture your son took, I can see why he has the camera with him. Nice shot! 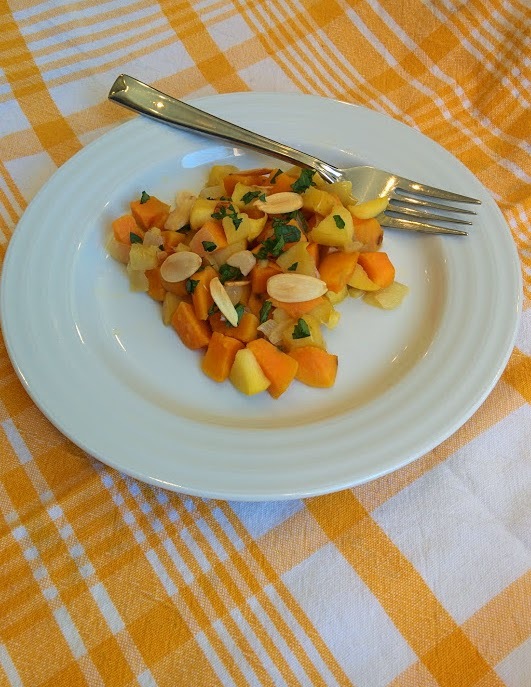 These sweet potatoes look delicious with almonds Beth! I dont understand why they love so MUCH pizza! very funny about the pizza. nonetheless, your sweet potato dish looks terrific–a great combo with apples almonds onions and ginger! HA about the pizza! But your lunch looks absolutely delicious – what a great combination of flavors and textures. YUM! Funny about the pizza, but so true! Love your sweet potato recipe. I could eat them three times a day. Haha, i toally understand her I love, love pizza!!! But I love your sweet potatoes too! Yum! I'm smitten with all things sweet potato! I love sweet potatoes… Thanks for sharing this recipe! Sounds so tasty! I love sweet potatoes and had one at dinner this evening. They're so healthy. This dish sounds light and healthy. It's one I will be sure to add to my list of recipes to try. Hi Beth, I bet this combination is delicious, sounds delicious!!! 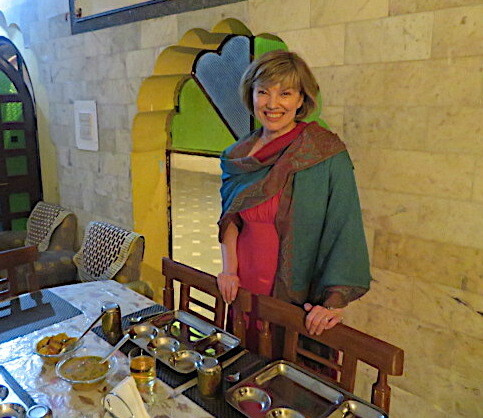 Dear Beth, Relaxing a little with meals is good. It stirs the imagination for the future and gives ourselves a bit of a needed rest. Sweet potatoes are so delicious and healthy at the same time. I love the look of your sunny sweet potato dish – I would share! You should use sweet potatoes as a pizza topping. 🙂 Lovely dish — sweet potatoes are one of my favorites! Thanks. 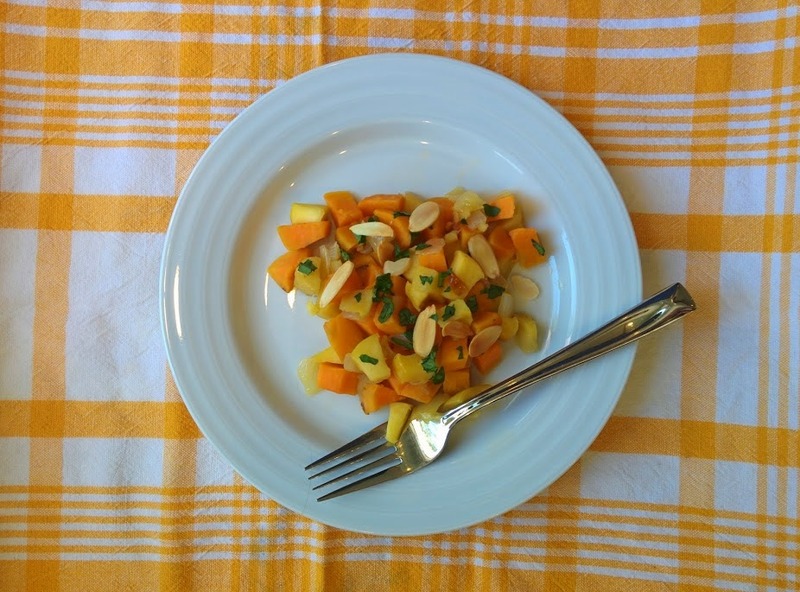 Nice sweet potato dish Beth, especially with apple and yes to almonds…looks delicious! I LOVE sweet potatoes! I am so with Monica, that small portion is never enough for me.